Arsenal have reportedly held initial talks over a potential transfer swoop for Lille forward Nicolas Pepe after his fine recent form. French source Le 10 Sport claims the Gunners are watching the Ivory Coast international closely and that they have made contact with both the club and player over a possible future deal. Pepe seems like a player with a big future at the highest level and could be a useful addition to this Arsenal side, who could do with more options in attack. While Pierre-Emerick Aubameyang and Alexandre Lacazette have only recently joined for big money, Pepe could perhaps be an ideal upgrade on the likes of Danny Welbeck and Alex Iwobi, who continue to be first-team regulars for the Gunners despite failing to impress on a consistent basis. The 23-year-old is still young and raw and it may be worth waiting a little longer before bringing him in to make the step up to Premier League level. 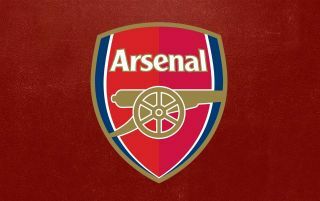 Still, the signs are promising and Arsenal fans will be glad to see their days of scouring France for the best young talent are not over just because Arsene Wenger’s left the club!